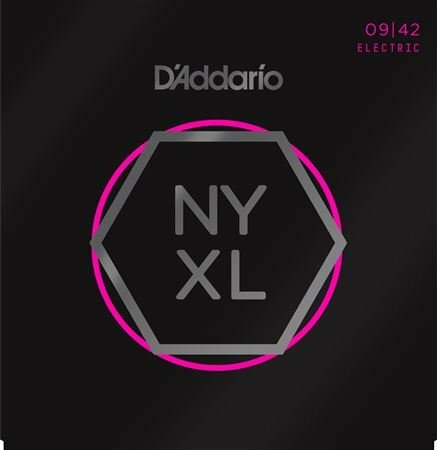 Shop D'Addario NYXL Nickel Wound Electric Guitar Strings from AMS and enjoy Fast & Free Shipping. 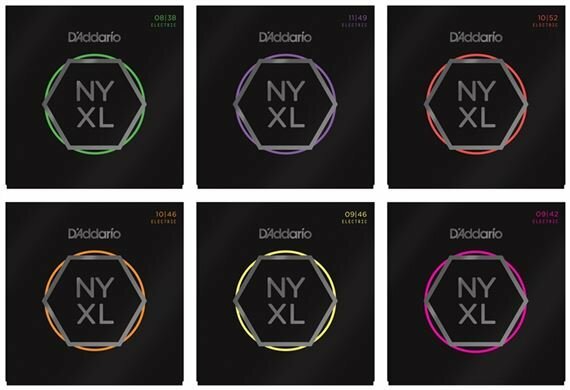 D’Addario NYXL guitar strings will bend farther, sing louder, and stay in tune better than any string you’ve played before. Envisioned, perfected, and manufactured by DAddario in New York, this newly engineered, break-resistant, high-carbon steel core and plain steel alloy delivers a whole new level of freedom, confidence, and power. NYXL strings provide more strength and 131% greater tuning stability by utilizing a completely reinvented wire drawing process coupled with a revolutionary fusion twist process for the plain steels. The reformulated nickel plated string windings have greater magnetic properties resulting in higher output and enhanced mid-range frequency response for more presence and crunch. I got to demo a set of these strings a few years ago before they were in general release. 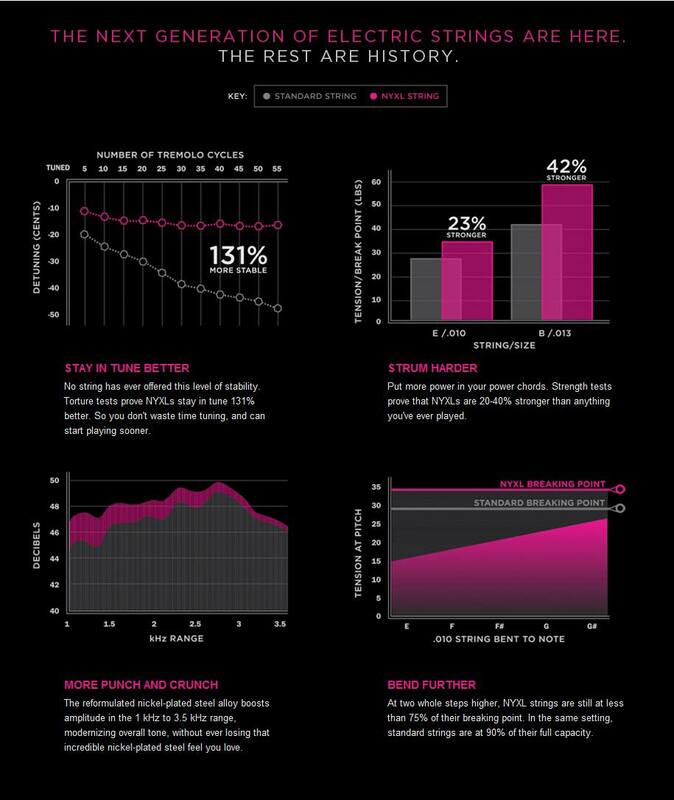 They stay in tune better - tune them, stretch them once and you are good to go! They just longer and sound better than any other string I have ever tried. These strings sound great, very comfortable. Nyxl is the only strings i play on my guitars. Light top heavy bottom gives heavy low end with tight clean highs. Can not recommend these strings enough. 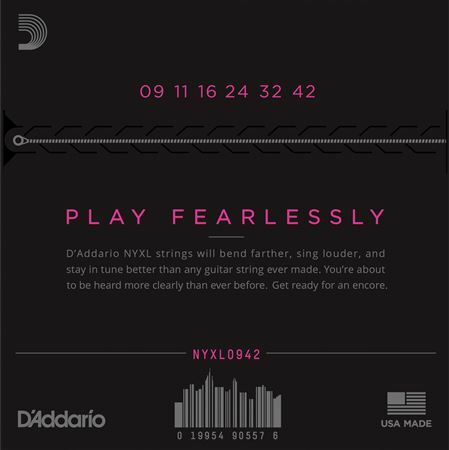 D'addario makes the best strings for electric guitars. Professional quality at a great price. These strings are a nice balance of gauges, so they play very easily. And, the tone of these strings would be hard to beat. I’ve played just about every brand of strings out there. 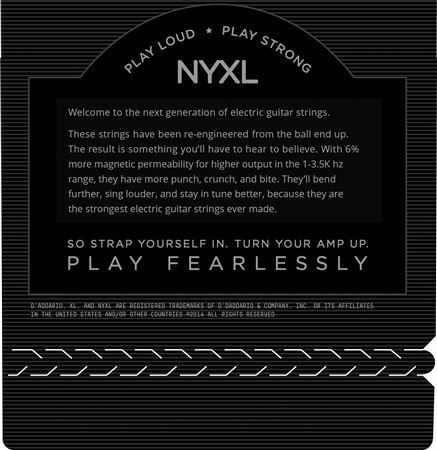 The NYXL’s last twice as long as ordinary nickel wound strings. They stay in tune and they maintain their tone. 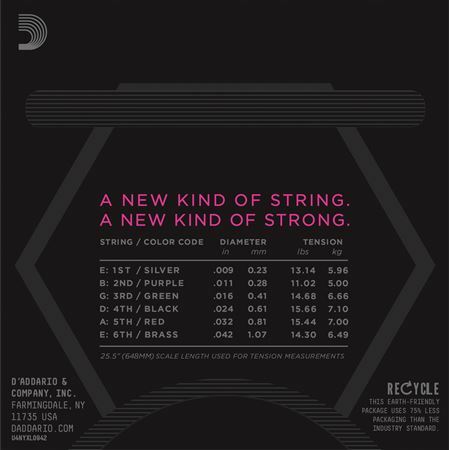 The best strings made ! I've never found better strings than these ,they are well made and consistent from pack to pack. They are very polished feeling to my touch compared to another Company that make rough feeling slunky strings. Very nice tone and long lasting. I use these with a Gretsch and Jazzmaster. Good tuning stability and they settle in fast. Never had one break and I am heavy handed. Tone is good and feel is good. No superlatives here just a good set of strings that lasts me about 4-6weeks. 4 stars because I wish they were cheaper. I appreciate the consistency between packs though.